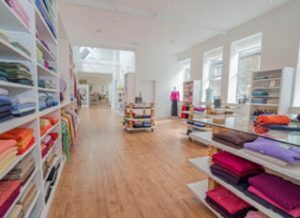 Luxury Scottish cashmere brand, Hawico, is continuing to invest in international retail expansion and brand development after securing a seven-figure funding package from HSBC UK. The family-owned manufacturing and retail company currently sells its designs in namesake stores across the globe, and is stocked in luxury clothing boutiques in North America, Europe and Asia. With its sights firmly set on opening additional Hawico stores internationally, Hawico will use the funding from HSBC UK to snap up retail units in its target locations, including Paris and New York, as they become available.